In the motorcycling world, there are few names as evocative as “Africa Twin”. Now while that name was derived from Honda’s four-time Paris-Dakar winning rally bike, its modern avatar is a big 1000cc adventure-tourer. The Africa Twin came to India last year and is one of the two “big” bikes that Honda actually assembles in the country, which helps keep its price fairly competitive. If by now you don’t know what the Africa Twin is all about though, we would highly recommend you check out our comprehensive FIRST RIDE and ROAD TEST reviews. For 2018 though, this big ADV has seen some updates. So, what’s new? Well, here are five things to know about the 2018 Honda CRF1000L Africa Twin. The previous generation of the Africa Twin, great bike as it is, does come across a bit underwhelming when it comes to its electronics package. Honda has now addressed this in the updated model with seven levels of HSTC (Honda Selectable Torque Control), which is basically traction control, as opposed to three before. Also new for 2018 is engine braking control (three levels of it), which decides how aggressively to downshift when you go off the throttle and on the brakes, along with three power delivery modes as well. But the real big change and what ties all these together is the ride-by-wire throttle, which has also allowed for four riding modes - Urban, Touring, Gravel & User, the last of which allows you to customise the levels of HSTC, engine braking and power to suit your needs. What’s worth mentioning is that the Gravel riding mode isn’t to be confused for the Gravel Assist mode (engaged by pressing the G button next to the dashboard), which is specifically designed to slip the clutch a little and even detect when you’re on an incline to maximise traction off the road. The new ride-by-wire throttle really changes the riding experience, but we’ll get to that in a bit. Aside from this, there have been some minor software updates to the ECU and gearbox logic, which optimises shifts when you have the DCT gearbox in either D or any of the three S modes. Just like on the CBR650F, Honda has sought fit to update the airbox and exhaust on the 2018 Africa Twin. So not only does the bike sound much throatier now, power and torque figures have been bumped up too. That said, just like last year’s model, for India, this 999.11cc parallel twin motor has been detuned a little (to keep up with our excellent fuel quality), resulting in an increase of just 0.6PS and 1.1Nm here. So it now makes 89PS at 7500rpm and 93.1Nm at 6000rpm. That said, there is a small weight saving here. The battery is now lithium-ion, which makes it 2.3kg lighter than before. But it’s still a fairly heavy bike with a kerb weight of 243kg - the heaviest in its segment. Aside from this though, everything else remains the same, which means you can still only get the bike with a 6-speed dual-clutch transmission (DCT) here - no manual for India, at least for now! The frame and suspension too remain unchanged, and the 2018 Africa Twin runs with a fully-adjustable 45mm upside-down forks at the front and a fully-adjustable linked monoshock at the back. And there’s an incredible amount of suspension travel on offer too - 230mm and 220mm at the front and rear, respectively. This is combined with an incredible 251mm of ground clearance, which is higher than any other adventure-touring bike in the country. It still keeps the same brakes as well, with front duties being handled by twin 310mm petal discs and rear by 256mm petal disc. Honestly, you won’t really notice the slightly improved power-to-weight ratio. But what you will notice is just how crisp and precise the throttle has become thanks to ride-by-wire. The slight jerkiness the previous bike had when rolling on the throttle at really slow speeds is gone… and now, it feels like there’s a direct connection between your right wrist and the Africa’s throaty parallel twin motor. So this means better control when you’re riding on a twisty mountain road, or even when you’re riding off the road. Since all other aspects of the Africa Twin remain unchanged, it still remains the most capable off-road machine in its class. And while purists might scoff at it, that DCT gearbox is a boon for less experienced riders in the dirt. You simply don’t have to bother about managing the gears or the clutch when you’re standing on the pegs and riding. This gearbox works well when on tarmac too. And just in case it doesn’t select the right gear for the situation, you can use the buttons on the left handlebar to shift manually. No fancy colour display here... the Africa Twin still retains a negative LCD-style screen. But the new single-piece design still manages to look modern. It’s more informative as well, with a distance-to-empty reading for the trip computer. Managing the new modes is still done through the same switches on the left handlebar, but the right-side switchgear has got an updated design now. Priced at Rs 13.23 lakh (ex-showroom Delhi), the Africa Twin doesn’t see a massive price hike for 2018. That still lets it undercut competition such as the Ducati Multistrada 950 and the Triumph Tiger XRx, and the price itself is quite surprising considering it packs such a cutting edge twin-clutch gearbox. That said, Honda is only bringing out 50 units of the 2018 Africa Twin in the first lot and most of them have already been spoken for. Is the 2018 Africa Twin worth it then? On paper, it doesn’t really match up to its competition. It makes less power and is heavier than its immediate competition such as the Triumph Tiger 800 XCx or the Ducati Multistrada 950. But from the saddle, it feels extremely light and nimble and handles off-road duties far better compared to both the Ducati and the Triumph. So while not a thriller, there’s never a dull moment when you’re riding it. The bottom line is that the updates have made a bike that was very likeable just loveable. 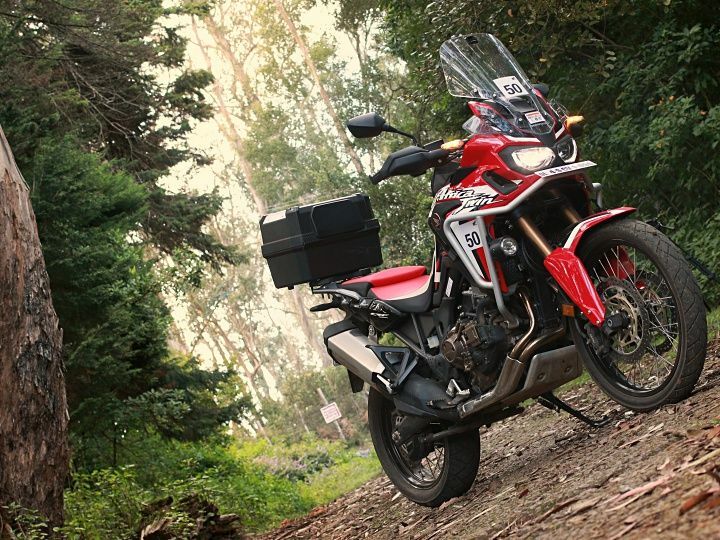 If you’re in the market for an adventure tourer that’s hassle free to ride and great fun at the same time, then we can’t think of a better bike than the Africa Twin.